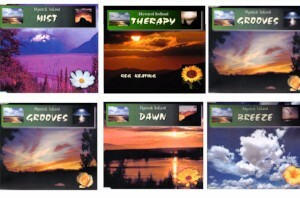 I recorded the first four of these albums in an ambient style under the pseudonym New Ireland Orchestra. They became Platinum albums in Ireland and sold extensively throughout Europe. The last two (Grooves and Therapy) I recorded in a percussive style to achieved Gold sales in Ireland and extensive sales in Europe under the name Mysteries of Ireland .